Temuera Derek Morrison (born December 26, 1960) is a New Zealand actor. 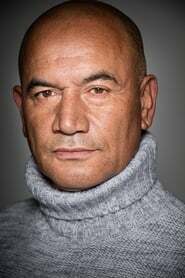 He has become one of the country's most famous stars for his roles as the abusive Jake "the Muss" Heke in 1994's Once Were Warriors and as bounty hunter Jango Fett and the Clone Troopers in the Star Wars series. He also voiced Boba Fett in the 2004 special edition of Star Wars Episode V: The Empire Strikes Back. Description above from the Wikipedia article Temuera Morrison, licensed under CC-BY-SA, full list of contributors on Wikipedia. as "Jango Fett / Clone Troopers"
as "Boba Fett (voice - Special Edition)"